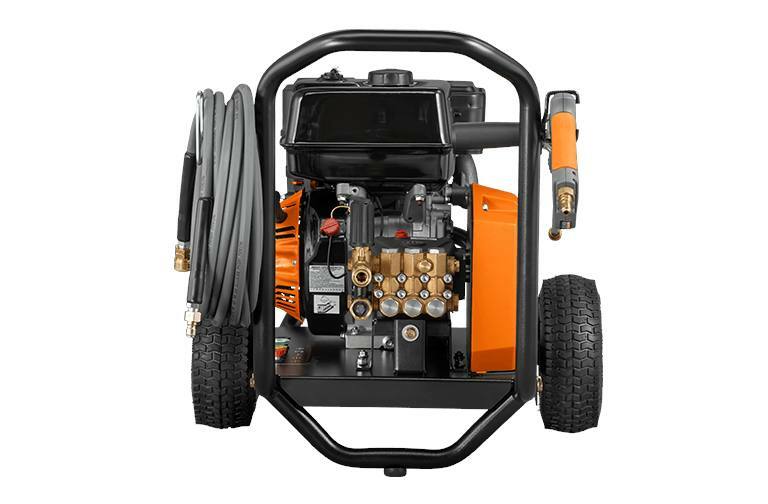 Heavy Duty Belt Drive Triplex Pump: Up to 3X longer life than direct drive triplex pumps, oil-level sight glass, re-buildable for easy maintenance. 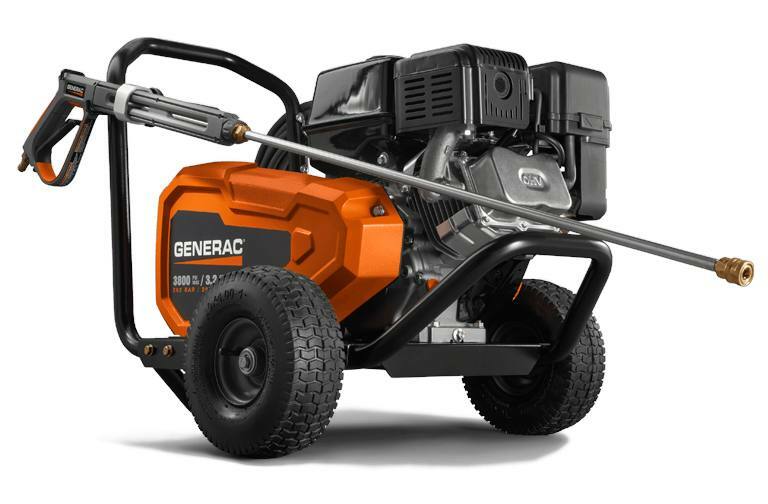 Powerful 302cc Generac OHV Engine: Delivers maximum cleaning performance and reliability. Low-oil shutdown protects the engine. 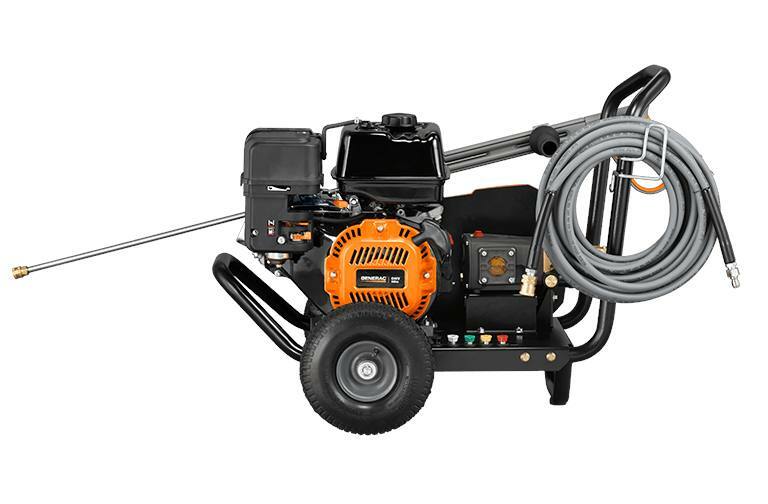 Compact Lightweight Design: Up to 50 lbs less weight vs other belt-drive power washers. 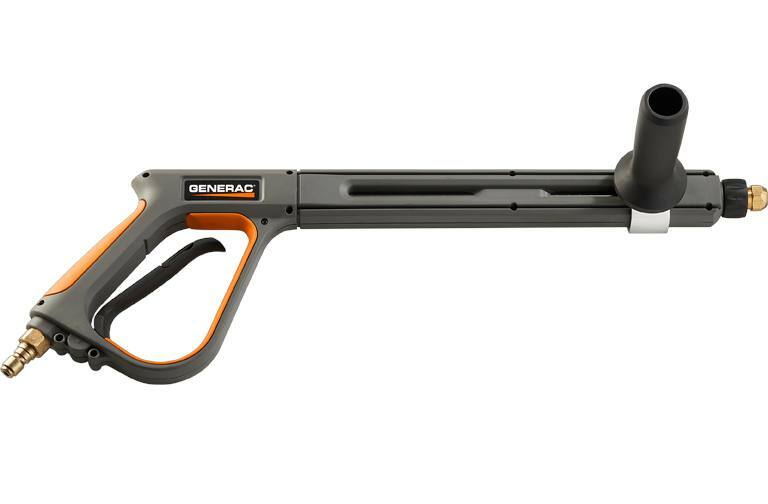 Oversized Pneumatic Wheels: Easily handle rugged jobsite terrain.